Hyundai Motorsport was fined €50,000 (approximately $56,540) from the World Rally Championship for accidentally using the wrong rear side windows on their car. They didn’t just grab the wrong ones for one event, either. The wrong windows have been in use for all of 2016. 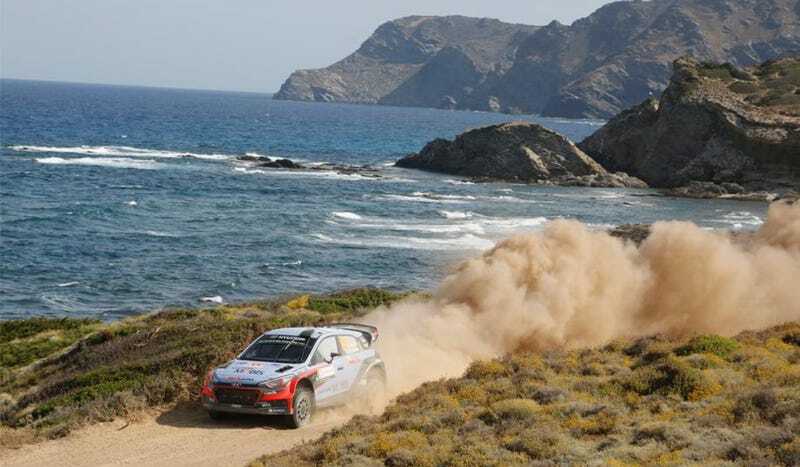 Hyundai driver Thierry Neuville won this weekend’s Rally Italia Sardegna, but he was nervous if he’d be able to keep if after the wrong windows were found on his car during post-race scrutineering, reports the WRC. Homologation is a crazy thing sometimes, and that’s the process to blame for this bizarre fine. Every piece of a top-level rally car has to be approved for competition. In this case, team boss Michel Nandan admitted that the team submitted photographs of different windows on the car on its homologation form. The team submitted photos of everything unassembled and later found out that the windows submitted in their homologation form couldn’t even fit into the doors. The new, illegal windows that did fit were discovered to be 17 g lighter on one side, and 19 g lighter on the other. The team admitted that they, a participant in the highest level of rallying on the planet, screwed up on the homologation process. They will not be appealing the decision.